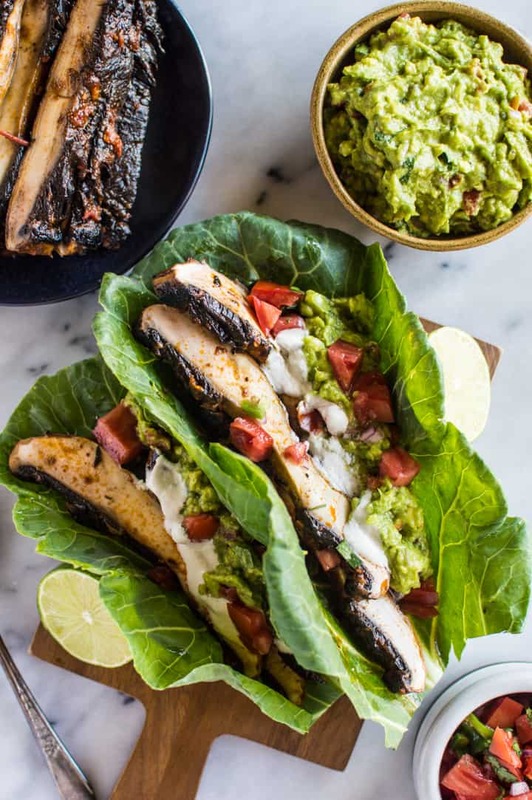 These harissa portobello tacos are made with collard greens instead of tortillas! They make a healthy gluten-free and vegan meal! I have nicknames for all my favorite people at the farmers market. There’s Salad Lady, who gives me a good talking to when I skip the market two weeks in a row; Microgreens Guy, who’s suuuper passionate about his darling little greens; Strawberry Lady, who always has the sweetest, juiciest strawberries of the market; Salsa Man, who salsas to the best Reggaeton while passing out samples of his spicy salsa (yes, he salsas for his salsa); and Mushroom Lady, who sells the most colorful assortment of ‘shrooms I’ve ever seen. I’m going to miss these people when I move to Sacramento. Mushroom Lady brought some good stuff to the market a few weekends ago. Like a lost sailor enraptured by Siren’s songs, my eyes were transfixed on two of the biggest, most beautiful portobellos I’ve laid eyes on. They were about the size of my head, and they were unbelievable. Those portobellos became mine in a hot second. I’ve come to realize that I don’t give the mighty portobello enough love. We all know versatile they can be: grill it, sauté it, bake it, and even make them into tacos. Since I’ve spent all weekend making the most out of my last days of summer (and by that I mean, eating and drinking way too much), I’m not ready for a new week to begin. I’m not ready to unpack, do laundry, plan my meals—pretty much anything related to adult responsibilities. Let’s keep things simple with an easy recipe that’s ready in under 30 minutes. If the portobellos are the star of this dish, the harissa marinade would be the supporting actress. It’s the sauce that make the ‘shrooms burst with bold spicy flavor. We’ve used harissa to make chili before, but it’s great when used as a marinade. I usually use Mina harissa because their flavor is consistently good. What I like most about Mina is that they make mild and spicy versions of their harissa. I usually use mild harissa to flavor any foods and the spicy version if I want to add a little kick to it. Feel free to use another brand if Mina is difficult to find! These tasty portobellos are just what I need after a weekend of heavy beer tasting, pizzas, and ice cream. If you don’t have collard greens on hand, you can also use lettuce or chard! NOTE: This is NOT a sponsored post for Mina harissa. However, I wanted to highlight their harissa as I find the taste to be very solid. Okay tacos are my life. Literally I LIVE for tacos, they are my favorite kind of food out there. 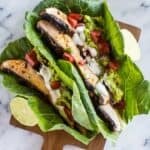 I have never tried portabella mushroom tacos but after these photos I am pretty much convinced they need to happen. I have been having my fair share of indulgence too so these would be perfect! Thank you so much, Selena!! I made them for a bunch of people yesterday, and they loved it! This recipe looks so delicious! 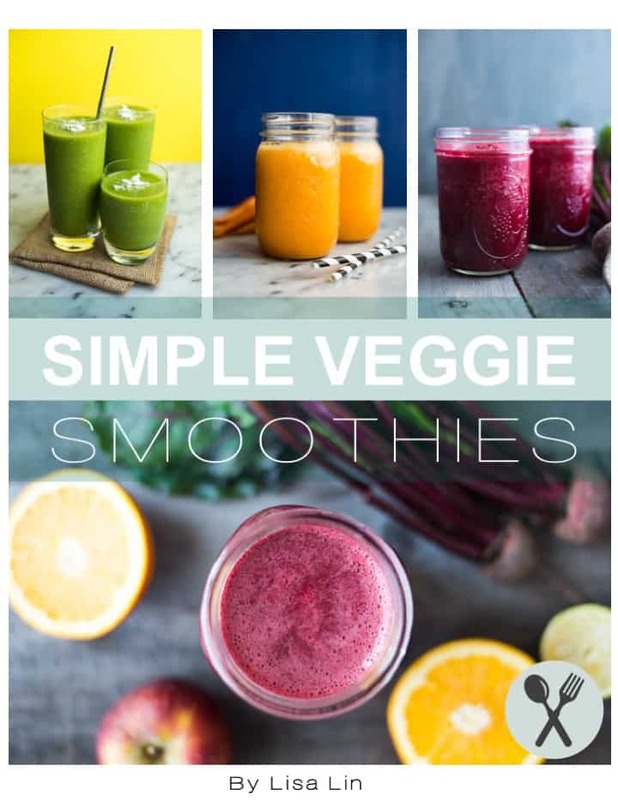 I’ve been eating vegan and clean for the past two weeks, and loving it, but I’m always looking for good recipes that seem easy to do! Lindsay, I had no clue you were trying out the vegan thing! How is that going? Let me know if you try it! I love Mina harissa! And I love the sound of these tacos. They look so fresh and heavenly! I can’t wait to try this! What gorgeous tacos! I am a huge fan of harissa and have been putting it on lots of things, not tacos yet though but that needs to change! Thank you, Des! Let me know if you try harissa in tacos! Those big slices of portobello look amazing! I love any excuse to eat tacos and love the addition of the harissa! I know! I was surprised how well those big portobellos cooked! Haha… all the names at the farmers market! For sure! I wish we had a mushroom lady, but we have to go a bit further for that. We used to have a doughnut lady at the market… but she’s no longer there. Farmer’s markets are the beeest! And they DO notice when you skip a weekend! hehe! Lisa, these look just fabulous! Your photography is beautiful and inspiring. 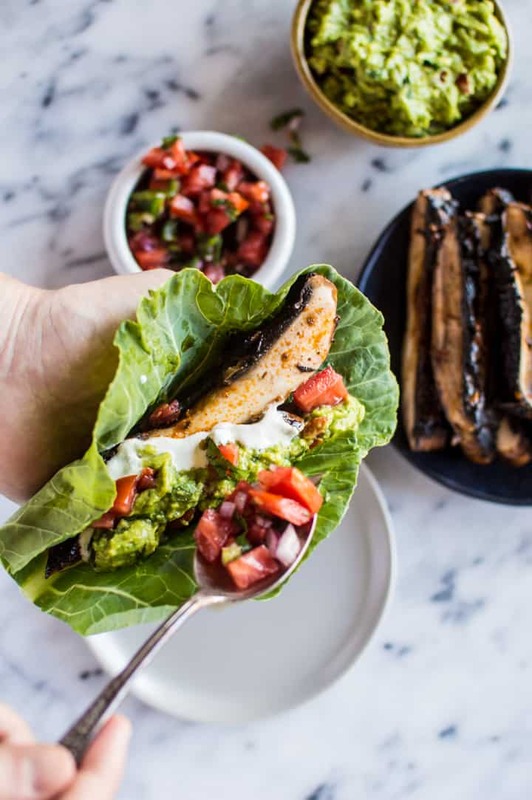 I love how you paired the sturdy collard leaves with the king of mushrooms – both sturdy, flavorful and packed with good for you stuff! And the harrissa? Oh my! Can’t wait to give this a go! Thank you my dear and welcome back! Traci, thank you so much for you kind words about my photos! Man, I wish we had a doughnut lady at my market! We do have quite a few pie/pastries/peanut brittle people though! The wonderful endless possibilities with portobellos! And not to mention, I love harissa! (Mild for me) haha! It’s so flavorful! Can’t wait to try this one. It looks terrific! 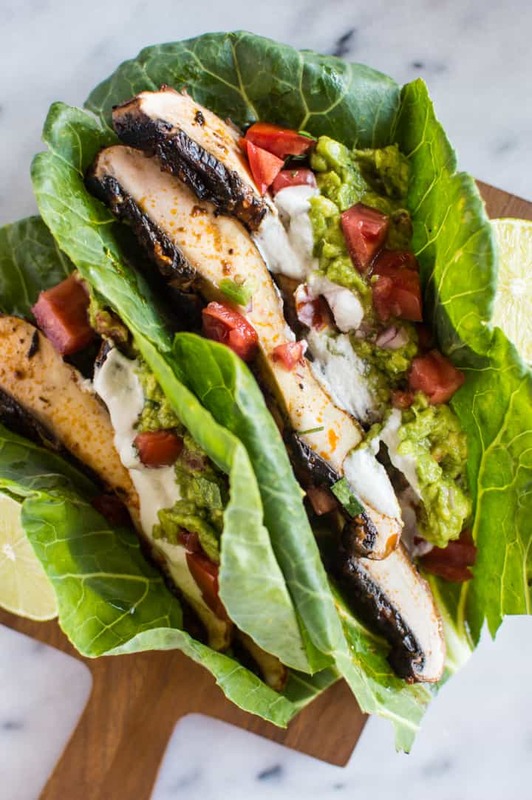 I cannot tell you just how much I ADORE this recipe – from the taco format, to the fact that they’re meatless, and then the harissa marinade! And yes, those Portobellos are gigantic! Your photos are so beautiful and bring this dish to life! Thank you so much, Patricia!! You are too kind! This totally my kind of meal. Looks incredible! And I’m with you, I’m not ready to give up summer. Nope, summer should never leave! I’m not used to the sun rising later! Emily, thank you sooo much! I can’t wait to meet you in a few weeks!! Katie, thank you so much for trying out this recipe!! So glad you enjoyed it! I love this recipe, it looks so delicious! Harissa is so delicious and adds such a great flavor to almost every dish. Can’t wait to make this one at home! Thank you so much for sharing! It looks great, unfortunately Keto should be 20g of carbs ( no sugar cause those add up) or less.. 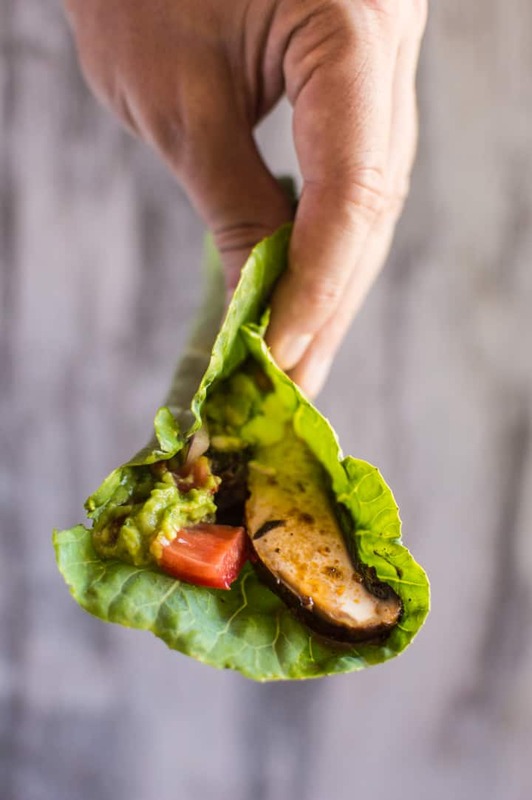 These 2 tacos will put me out of ketosis and even if I eat one, adding the sugar, is just not sustainable.. Would you modify the recipe in any way to reduce the carbs? 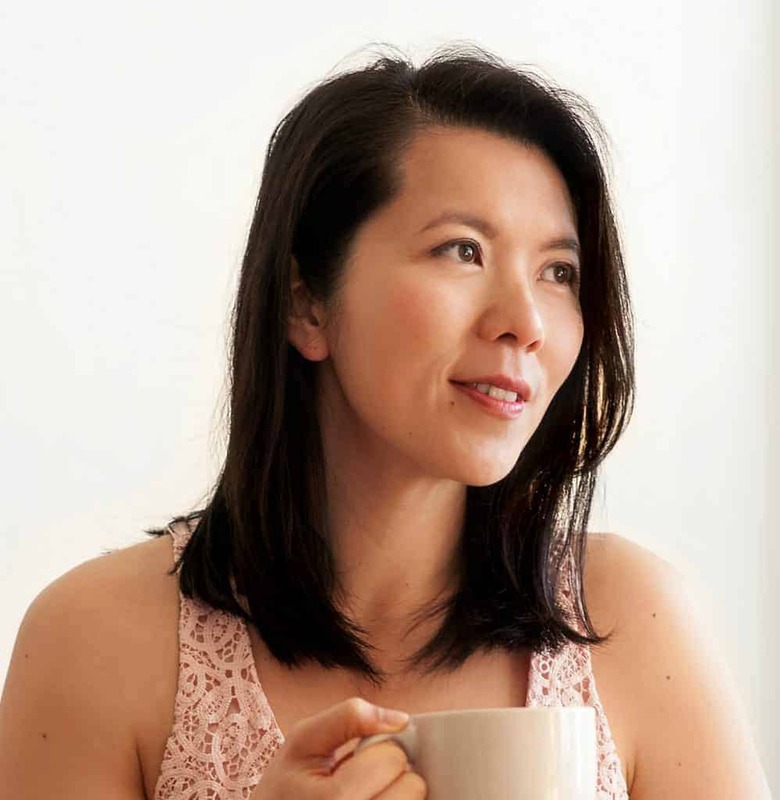 Hi Sanda, there’s no added sugar in the recipe. What sugar are you referring to?